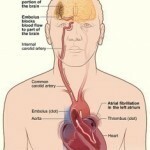 Stroke results due to blockage of blood flow from the heart to the brain. This condition can lead to arrest of brain function and other debilitating conditions and in some major cases even death. Once the normal flow and supply of blood to the brain becomes insufficient, brain cells slowly die due to lack of nutrients and oxygen to sustain its functions. There are various forms of stroke. It consists of minor and major symptoms which typically depend on the extent of brain damage sustained. 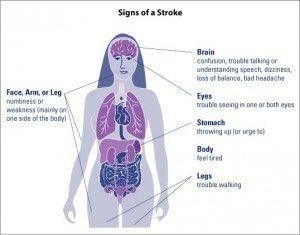 Immediate recognition of the symptoms of minor stroke is the key to prevent major catastrophic consequences of stroke. The symptoms of minor strokes usually vary depending which artery of the brain is affected. 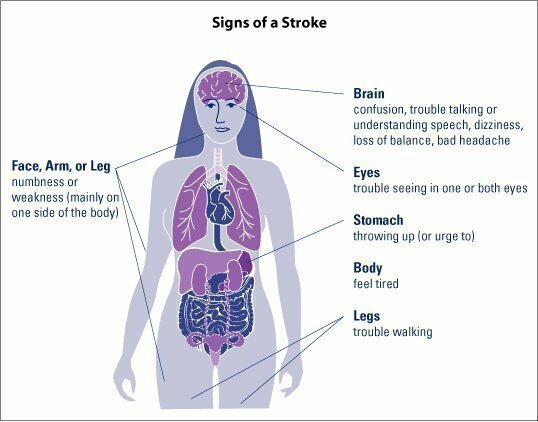 But there are common symptoms of minor strokes that one should be aware of since most mild strokes often occur unnoticed. These symptoms usually involve numbness and weakness on the face, leg and arm. The weakness usually occurs on one side which is on the opposite side where the brain lesion occurs. One will also experience speech difficulty and confusion. Other symptoms of minor stroke also involve trouble seeing, dizziness, uncoordinated movements and loss of balance. A sudden headache with unknown cause is also a sign of symptoms of minor stroke. Blurred vision is also an indication of a mild stroke symptom that must be given due attention, diagnosis and treatment. The diagnosis of symptoms of minor stroke will substantially depend on the reported symptoms and physical assessment of the physician. The past medical history of the patient is also determined while the basic vital signs are monitored such as the blood pressure, pulse and respiration. Neurological examinations are also carried out to determine the extent of the disability of the patient. Laboratory tests are important diagnostic tools including blood work such as blood sugar, salt balance, kidney function, white blood cell count, and hematocrit test. X-ray test is sometimes ordered but most of the time CT scan and MRI are more reliable diagnostic tools for stroke. ECG is also ordered to recognize irregular heart beats. The treatments for symptoms of minor stroke include supportive treatment, self help treatment, medication and lifestyle modification. Supportive treatment consists of management of the symptoms felt such as providing oxygen to alleviate shortness of breath and providing fluids when dehydrated. Medication treatment includes administering antiplatelet drugs such as aspirin, Ticlopidine, Clopidogrel, and Dipyrimadole. Anticoagulant drugs are also prescribed such as Warfarin and Heparin. 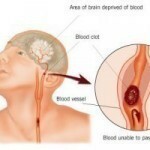 Thrombolytic therapy is the main treatment goal for the treatment of symptoms of minor stroke aimed to break up the clot formation in the brain. It is thus crucial to recognize the early symptoms of mild stroke in order to provide preventive measures against the most catastrophic sequelae of stroke. I need a self treatment for my mild stroke. I have numbness in my right face and dizziness when I stand up. Has your doctor prescribed stroke prevention medication for you? Are you taking aspirin or another over the counter blood thinner? Stroke rehabilitation usually involves physical therapy to rebuild a person’s coordination, strength, and self-confidence. For your face, this might involve exercising your facial muscles by making a range of expressions such as smiling, frowning, showing surprise, and scrunching your face. Dizziness could be more serious. Has your doctor determined for certain that this is a result of a minor stroke? If so, rehabilitation could involve the very thing which is causing you trouble — switching from a resting state to an active state. On the other hand, dizziness can also be a symptom of other issues — some of which can be dangerous. Tell me more about your symptoms. Have they slowly gotten better or worse, or have they stayed the same? Have you been exercising your facial muscles regularly? How often do you get dizzy when you stand up? Is it frequent or infrequent? How long do you remain dizzy? Do you fall down? What do you see when you are dizzy? Does it happen more at certain times of day? How is your diet? ive been slowly gettin better ,not like before when igot my mild stroke icant stand or walk by myself.iam feeling nothing when iam lying,but when i stand up igot dizzy.it is frequent when i got up,it is not strong and ithink icancan handle it,its like i got a heavy things on my head.ive been exercising my facial muscle regularly when i do the jogging.its been 3yrs. since igot this sick.how long do i suffer,will i be cured or not.about my diet its okey coz icant eat well because of my nambness in my mouth. yeah ive been tested in diabetes and its normal.can i have more suggestions on my mild stroke self treatment coz i have a financial problem .